Discover the impact of winning or losing streaks on fund manager behavior. 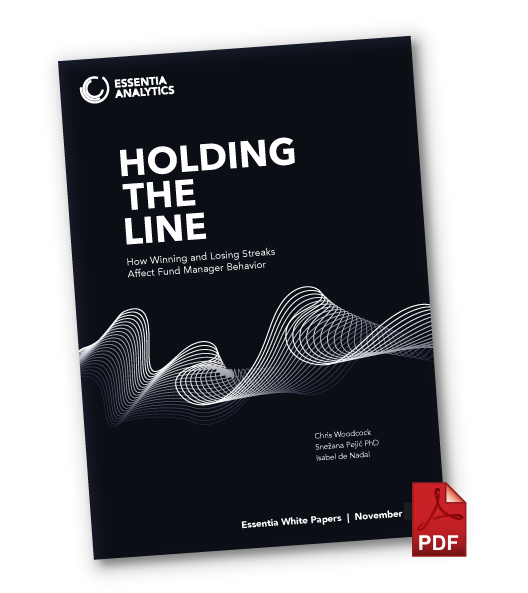 Decisions made as a result of both winning and losing streaks were significantly poorer, costing managers an estimated 35bps of performance per annum, on average. By supplying your information, you authorize Essentia Analytics to contact you with more content and/or information about its products and services.